The Scottish West Coast Langoustine Co-operative marketing initiative was born from the Scottish Langoustine Project; a small and finite Scottish government direct funded project to assess detailed Supply Chain Analysis requirements for UK retail opportunities for whole fresh Scottish langoustines, under the control of Mallaig & North West Fishermen's Association in late 2010. This academic study was undertaken by Professor Keivan Zokaie of S A Partners LLP., Caerphilly, Wales; resulting in a series of findings explored in early 2011. Most notable being the interest of Sainsbury's in pursuing their desire to include whole fresh Scottish langoustines within their fresh fish displays nationally. In July 2011, at a meeting in Perth comprising a senior Sainsbury's executive, Dr Zokaei, John Hermse (CEO - Mallaig & North West Fishermen's Association), and Neil Robertson (Neil Robertson Associates), it was agreed to evaluate the product's suitability via a number of detailed appraisals by Sainsbury's Food Technologists and Food Scientists to assess amongst other criteria the langoustines' optimum 'shelf-life' from catch to consumption. Scottish langoustines met all Sainsbury's expectations and a further meeting was convened in Mallaig during early September 2011 by the aforementioned quartet, plus a representative of Youngs Seafood (Sainsbury's appointed 'fish-buyer' for all their fresh fish counter produce) and Tony Kenning (Kenning Fishing - Mallaig) to negotiate terms for whole fresh Scottish langoustine to be retailed nationally throughout all Sainsbury's supermarkets. Frustratingly, just as the Scottish Langoustine Project acquired its "Preferred Supplier" status with Sainsbury's the initial Scottish Government funding ran out and the project stalled. Recognising the significance of this project to the future sustainability of Scotland's langoustine fishermen, John, Neil, Keivan, and Tony were determined to pursue additional funding opportunities and set about a vigorous, self-financed, campaign to that end. John, Neil, and Keivan arranged meetings with Scottish Government officials in Edinburgh in November 2011: Neil met and lobbied local MSP Dave Thompson. 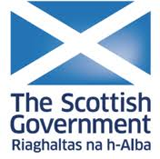 The collective result of which was John and Neil attending a meeting with Environment & Rural Affairs Cabinet Secretary, Richard Lochhead MSP, Dave Thompson MSP and senior Scottish Government officials in the Scottish Parliament in late March 2012. It was during this meeting that the Cabinet Secretary, in recognising the merits of the proposals, agreed to support John and Neil's ambitions for Scotland's langoustine fishermen by backing an application for European Fisheries Fund grant funding. The EFF application along with the necessary 25% 'private sector' investment by Mallaig & North West Fishermen's Association Ltd., was duly submitted in April to Marine Scotland, with confirmation of the Scottish West Coast Langoustine Co-operative's marketing initiative grant funding approval (ref: The Scottish Government's web-site: MI-C-3-0047) document received, dated 13th. July 2012. The Scottish West Coast Langoustine Co-operative remains totally focussed on its objective to explore all profitable and sustainable UK marketing opportunities for the sole benefit of Scotland's langoustine fishermen. Our marketing initiative's Board of Directors: John Hermse (Chair), Neil Robertson, Tony Kenning, and John Laing, will welcome any interaction from within the relevant fishing communities on the progress we are making upon our jointly agreed strategies. Please access the News section for regular updates.